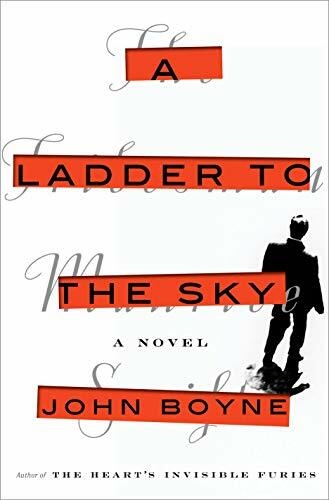 A Ladder to the Sky is not a book you want to love. Its villain, Maurice Swift, is cold blooded, chilling, and corrosive, a man who will stop at nothing to achieve literary power and fame. Swift is at first irresistible, preying on the loneliness and ego of a much older, celebrated novelist. He’s an aspiring young writer, working in West Berlin when he meets German novelist Erich Ackermann. (Boyne’s novel imagines celebrated writers as Maurice’s victims.) Erich is older, a gay man who had given up on the idea of romance. Swift pounces. “As we made our way through the hotel doors he uttered the phrase that I usually dreaded but which now, inexplicably, sent waves of excitement through trough my body. Of course, the tempo and mood changes as the duo crisscross the country together—Maurice flirting with other writers, constantly climbing, and his arrogance becomes an annoyance to Ackermann. The beguiled novelist realizes far too late that Maurice is a skilled con artist who now holds claim to the former Nazi’s most shameful secret. Maurice exploits Ackermann’s vulnerabilities in his debut novel, exposing his “friend.” Ackermann’s career, his life as a celebrity, and his teaching positions are destroyed. This chapter is written in third person, capturing both Vidal’s charming arrogance and his world weary attitude toward shiny young boys. Do you think he’ll make it? Gore’s partner asks shortly after Maurice’s departure. An extraordinary success, Gore imagines. He understands the boy will stop at nothing. The chapters rotate like this, through different geographies and structures, with Maurice selecting his next victim as carefully as Ted Bundy, the notorious serial killer who preyed on vulnerable young women. One terrifying section is narrated by another one of Maurice’s victims, his wife, Edith, who is teaching at the University of East Anglia and working on her second novel. Reading these pages is like watching a Hitchcock film, we can feel in our spine just how gruesome this is going to play out, and we are desperate for the girl to escape. Edith is all but blind to the menace living under her roof. Eventually, Maurice descends into alcoholism and self-pity, a psychopath whose crimes descend past a place of believability. Maurice’s son Daniel, now a 13 year old, discovers his Father’s memoir, and learns of his Mother’s murder. The boy suffers a life-threatening asthma attack. Of course, Maurice steals his son’s inhaler and watches his only blood relative die slowly. The despicable nature of the final crime denies us any joy when Maurice finally goes to prison. Sheila Hamilton is the author of the memoir, All the Things We Never Knew, a five-time Emmy award winning journalist, and a radio host. She is an advocate for people living with mental illness and an APB national speaker on the topic of mental illness and recovery.